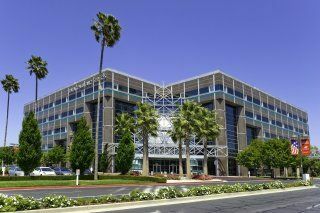 To help you find the perfect location for your Silicon Valley office, the Offices.net site allows you to search through all the offices and get the vital information about each one quickly and easily. We have a wide range of locations available, many with flexible lease requirements that can be tailored to your company's needs. Our office suites provide an ideal solution to working in Silicon Valley, and in many cases also offer the option of increasing or reducing the amount of space rented at short notice. This type of flexibility can be ideal for start-ups and businesses that are expected to grow fast, as well as for those that are downsizing. Just choose one of the available spaces in Silicon Valley above. Every office and executive office suite boasts a prestigious business position in Silicon Valley, with flexible terms to suit your exact office space needs. Simply get in touch using the contact details above and we'll be more than happy to recommend some offices in and around Silicon Valley. All we need to know are your essentials; the number of desks you need, your company's ideal locations and your ball-park budget.